Weekend, and I found some time to explore ZBrush 3.5 R3 which was released last week. 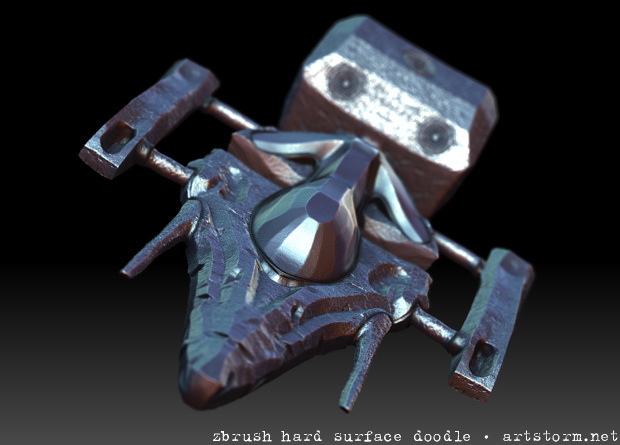 I’ve spent a few hours playing around with the new polish, trim and planar brushes for hard surface sculpting. I can’t help continue falling deeper and deeper in love with this application, the new brushes are really awesome. I haven’t posted here in a long time – work, work, work. But here is a few quick doodles I created earlier today while having fun with the new ZBrush version until I get some more time to write something more interesting. 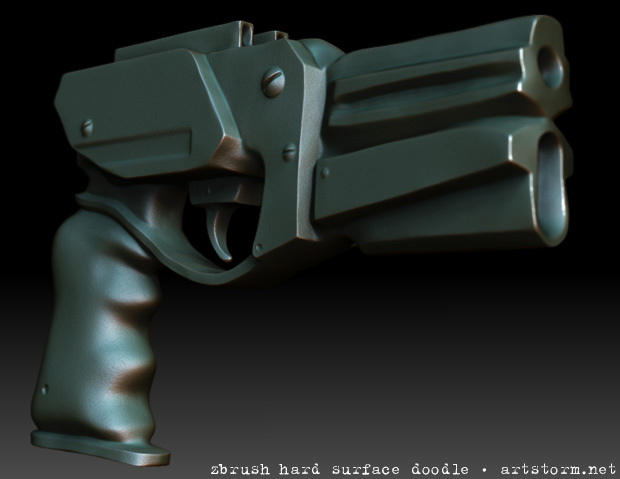 Hard Surface Gun Sculpted in ZBrush. ZSketch and then the retopologized poly mesh. Just some odd spaceship form sculpted in ZBrush. The ZSketch and then using Clay Tubes to fill in some shapes. Kind of a robot entity with 70's platform like shoes. The recently introduced ZSketch which let’s you doodle freely in 3D space together with the new hard surface brushes is definitely another step forward for ZBrush. It’s pretty cool to be able to go from nothing to have some concepts sculpted out in less than an hour. Very cool stuff! I haven’t had the opportunity to try ZBrush, but I’m always impressed with the results and praise that user have with it. However, the concept of ZSketching was something that I’ve seen before in the last iteration of 3DCoat. 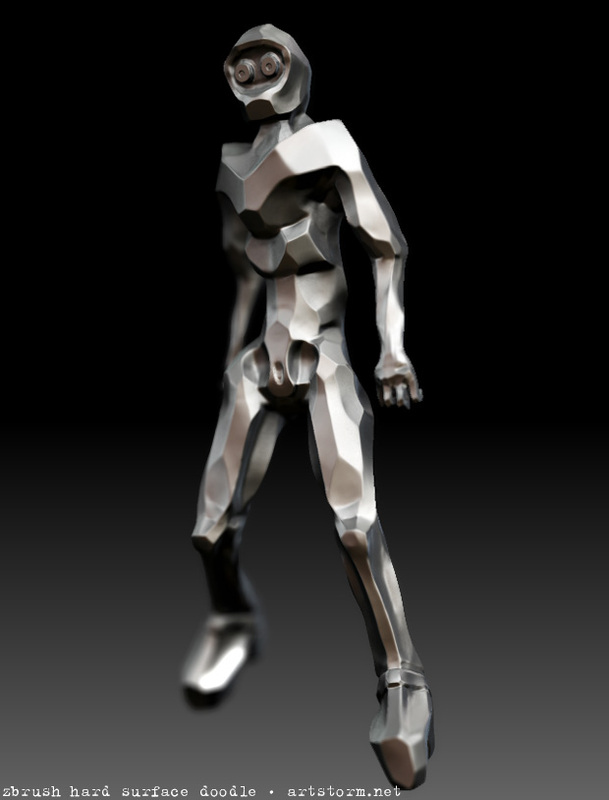 While it’s not as polished as ZBrush, it’s definitely worth a look…. it’s because the 3dcoat developer, in-order to survive, got into a nasty habit of copying from zbrush everything he can. Not cool.